Beautifully Remodeled Single-Story Pool Home! 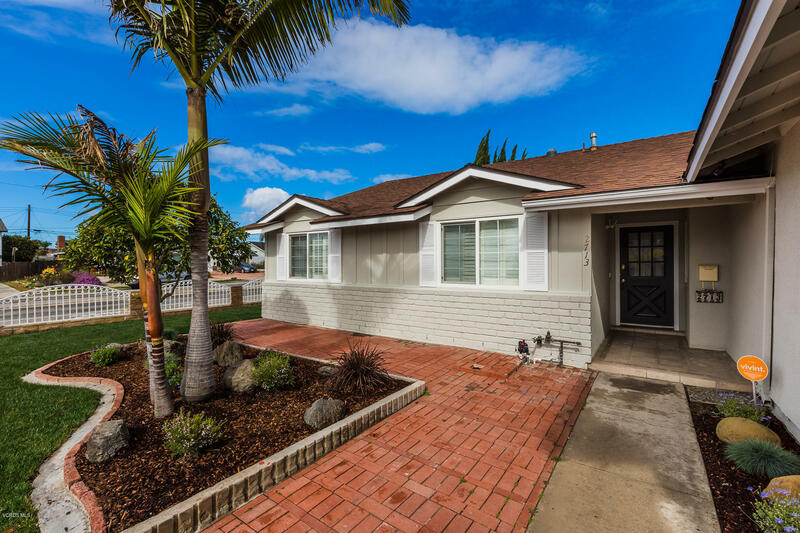 This Inviting Home Offers 4 Bedrooms, 2 Bathrooms, 1694 SF of Living Space on a 6564 SF Corner Lot! Well Appointed Galley Kitchen With Dining Area, Granite Countertops, Black Appliances Including Gas Cooktop, Oven, Built-In Microwave, Warming Drawer, Dishwasher, Refrigerator, Stainless Steel Sink, Recessed Lighting & Large Windows. Family Room Conveniently Located Off Kitchen With Ceiling Fan & Crown Molding. Bright and Open Living & Formal Dining Room With Impressive Stone Fireplace, New Laminate Flooring, Hardwired Speakers & Large Slider to Backyard. Spacious Master Bedroom With Large Window With Pool View, Ceiling Fan & Dual Closets With Mirrored Doors. Master Bathroom With White Cabinets & Walk-In Shower. 3 Guest Bedrooms With New Carpet, Plantation Shutters & Mirrored Closet Doors. Guest Bathroom With White Cabinets, White Tile Countertops & Shower/Tub Combo. Private Backyard With Sparkling Pool & Spa, Covered Patio, Built-InBBQ & Terraced Retaining Walls With Newly Landscaped Planters. Other Features Include New Flooring Throughout, A/C, Smooth Ceilings, Wainscoting, Crown Molding, Plantation Shutters, Recessed Lighting, Newly Landscaped Fenced Front Yard, Fresh Interior & Exterior Paint.